This region looks to the naked eye as a sword hanging from the three belt stars in the constellation Orion. 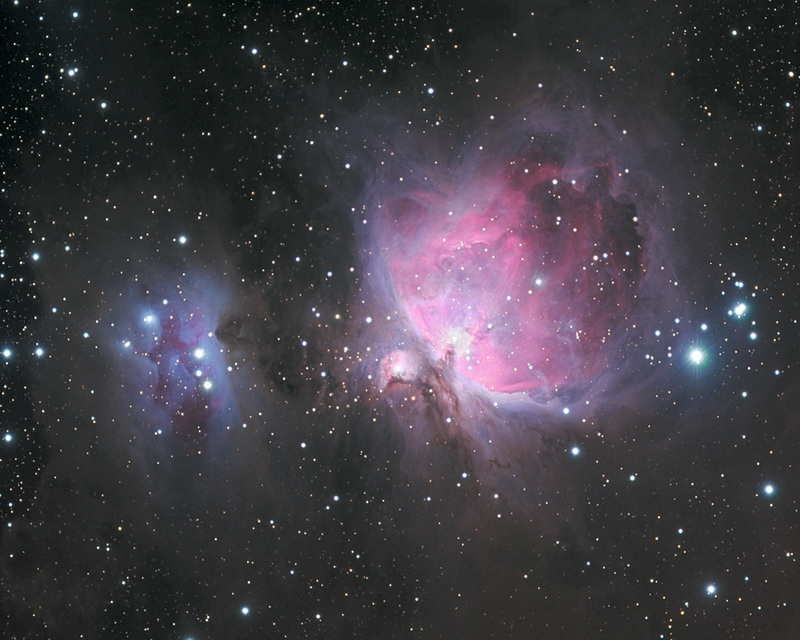 The large bright nebula on the right is the Great Orion Nebula (M42 and M43). The smaller, dimmer blue and magenta nebula at the left frame is the Running Man Nebula (NGC 1977).